Is The Online Retail Boom Coming To A Close? The online retail juggernaut may be losing steam with fears a GST hike could turn online shoppers off. Experts say the online retail boom may be coming to an end with statistics revealing a slowdown in sales. Online sales inched up by just 0.6 per cent in August, representing just 7.1 per cent of spending at traditional bricks and mortar shops, the NAB Online Retail Sales Index reports. In the previous month, online sales dropped by 1.4 per cent. A potential increase to the GST could further impact these figures with speculation the Turnbull Government will take the issue to the next election. A GST rise to 15 per cent was first raised by NSW Premier Mike Baird and, along with a raft of economic reforms, has not been ruled out by Malcolm Turnbull. While a hike will affect both online and traditional retailers, ecommerce will be harder hit by the introduction of a GST on all goods purchased from overseas from July 2017. The Retail Solution chief executive Roger Simpson says bricks and mortar stores could reap the benefits. “If customers feel that the addition of the GST to their online purchase will increase prices, and if the Australian dollar remains weaker against the US, we may see a bounce in retail sales conducted in store,” he says. Traditional retailers must go the extra mile to stay competitive with their online counterparts, says Simpson. The in-store experience has to be great, otherwise we’ll push more customer into the online world. “Customers can’t touch and feel products online, but they can purchase easily without the hassle of having to drive to a shopping centre and then experiencing poor service,” he says. Retailers need to pour equal effort into both traditional and online channels to weather any economic fluctuations, Simpson says. “The retailers who are determined to stand out with innovative products and wow customer service are the ones that will experience the greatest growth,” he says. 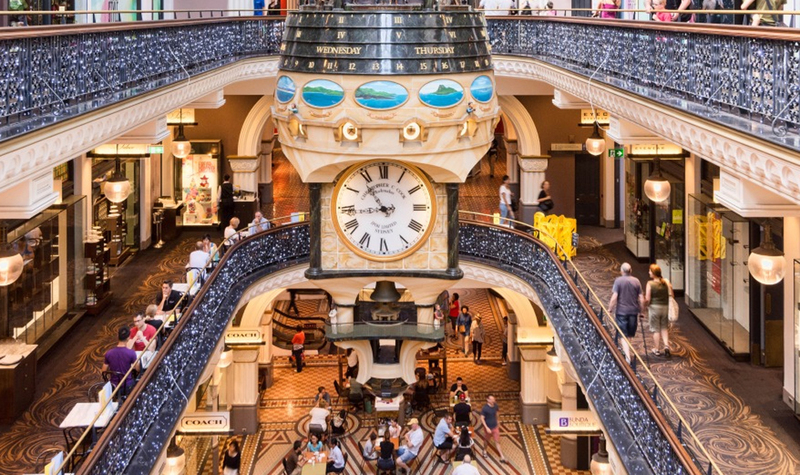 Shopping malls in the US have been on a downward spiral, and there are predictions half will close by 2030, but Australia’s shopping centres are not headed for the same demise, according to the marketing and digital director of retail giant Westfield. John Batistich told Mumbrella that sales growth at Westfield shopping centres was almost on par with that of online retailers. He also said traditional retailers had little to fear from pure-play or internet-only retailers because shoppers still craved physical experiences.